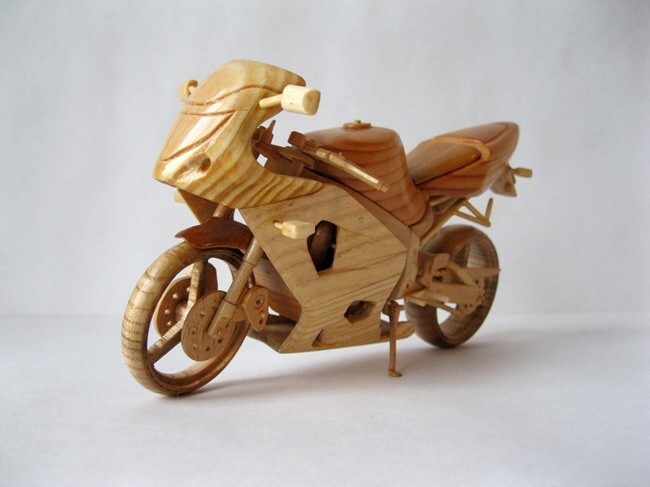 You will applaud this as one of the most desirable miniature forms of art, thanks to its simple and eco-friendly appeal. 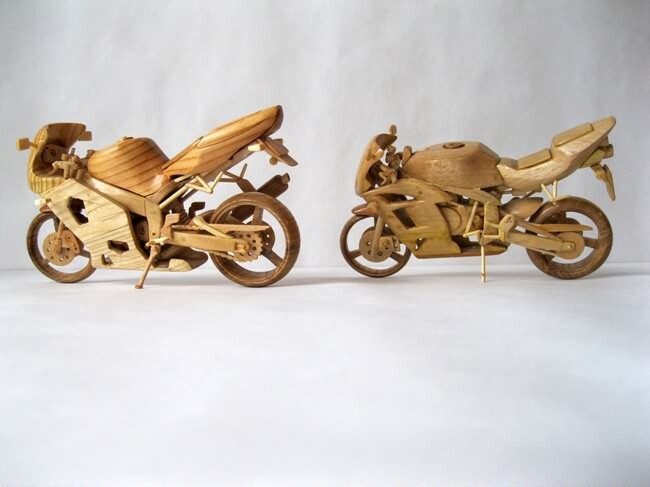 An Ukrainian artist Vyacheslav Voronovich transformed his dream into a form of art by creating attractive and unmatched bikes out of wood, which is eco-friendly. 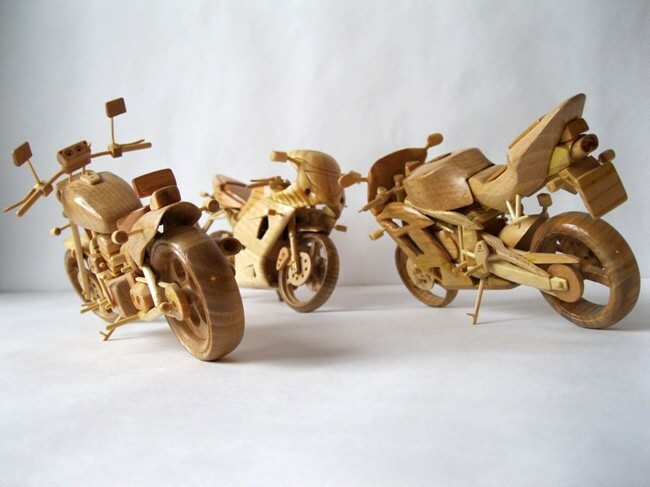 Voronovich's creations seem to be so realistic that you would spontaneously want to grab one, or may be more. 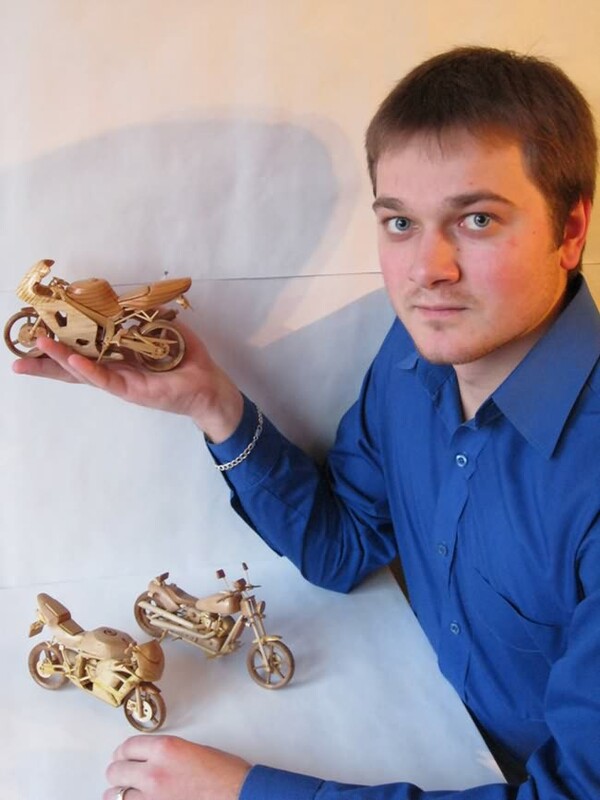 His ever growing hobby of creating miniature pieces of art was actually inspired by miniatures he had seen online. 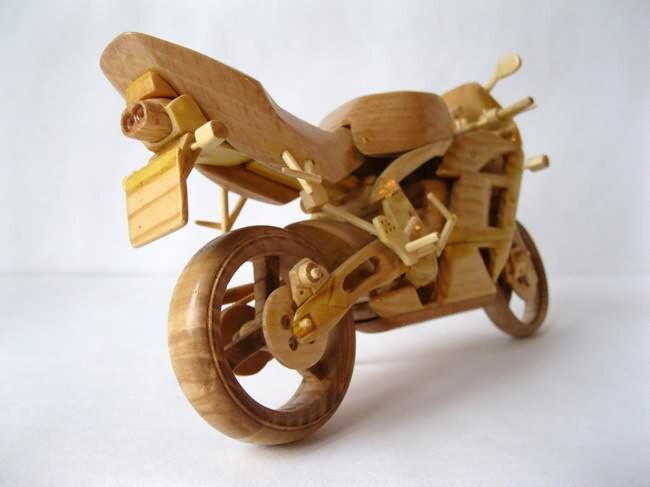 Curious to see if he could make a miniature out of wood, Voronovich made a 1:12 scale wooden motorcycle and has been sticking to it ever since. "It was precisely at that time as a kid that I started dreaming about having a bike of my own, but I never had the opportunity. 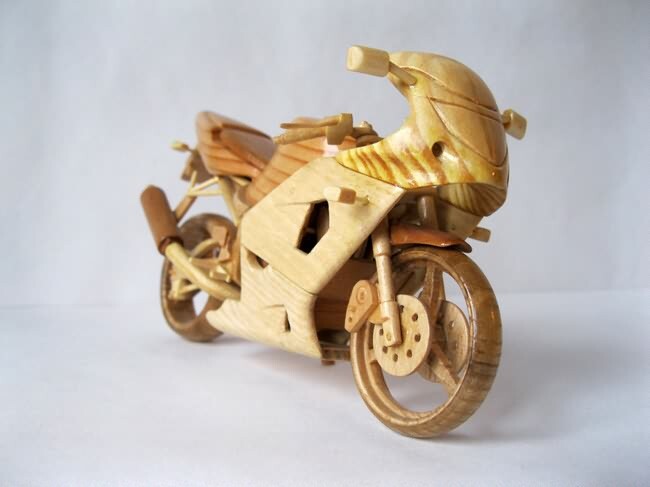 Yet, my interest in motorcycles never actually subsided, it just became deeper and deeper. 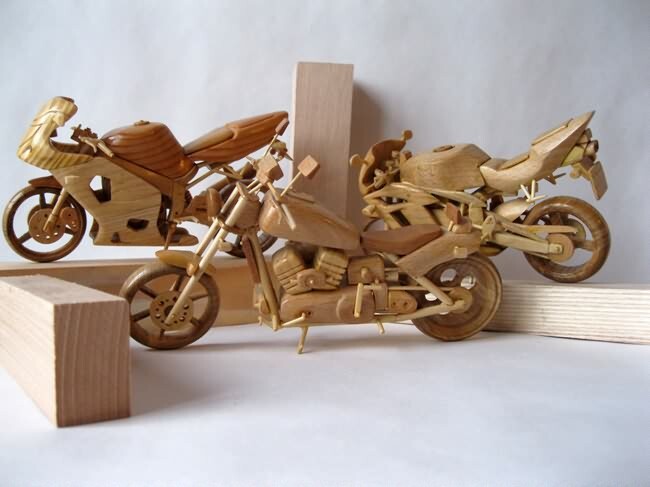 At the same time, I enjoyed wood carving and making various wooden artifacts. 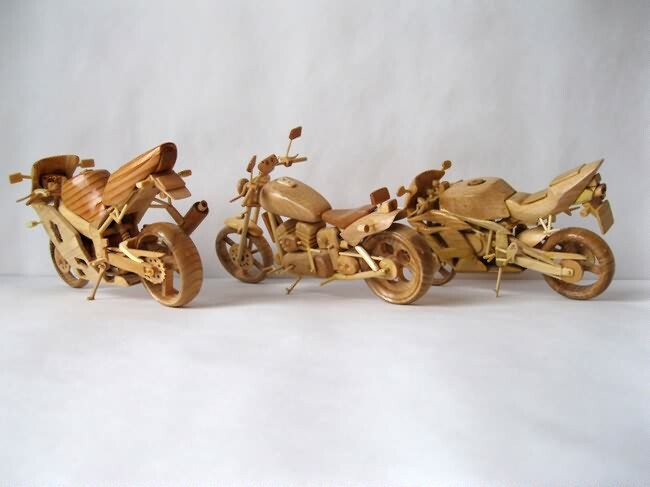 I was � and am to this day � particularly fond of miniature handmade articles," Vyacheslav says. 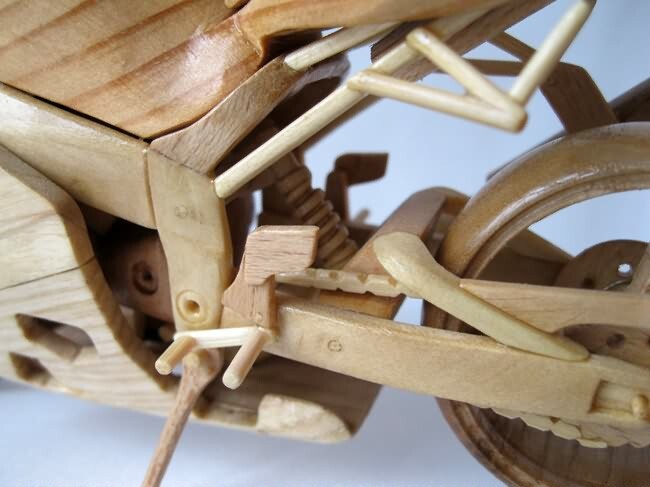 "The most difficult task is to carve out tiny components, because they often break when they are almost finished (handlebars, rear-view mirrors, gear shifters, turn signals, brake discs, etc.). 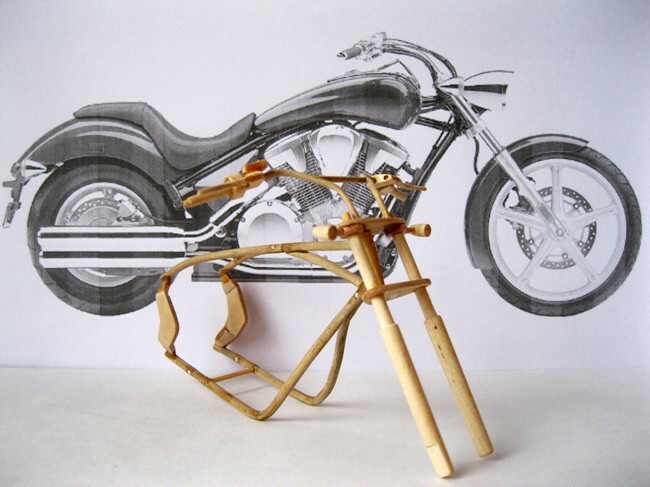 You have to start from scratch, sometimes I have to make the parts over and over again." 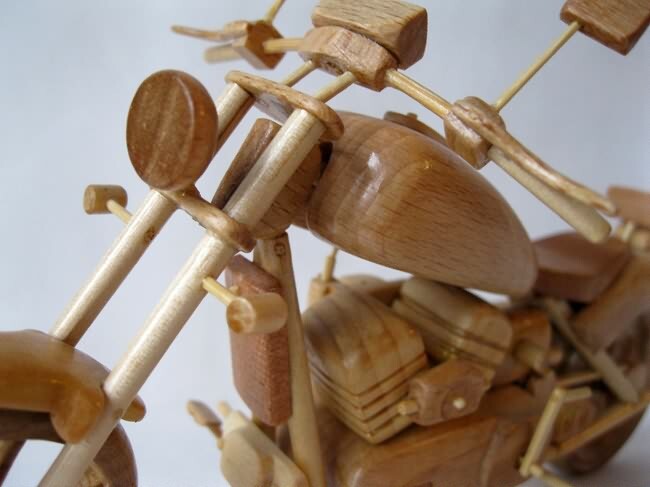 Vyacheslav's finest and most fragile tool is a 0.5 mm drill bit, while his main instrument is "a plain box cutter with disposable razor blades. 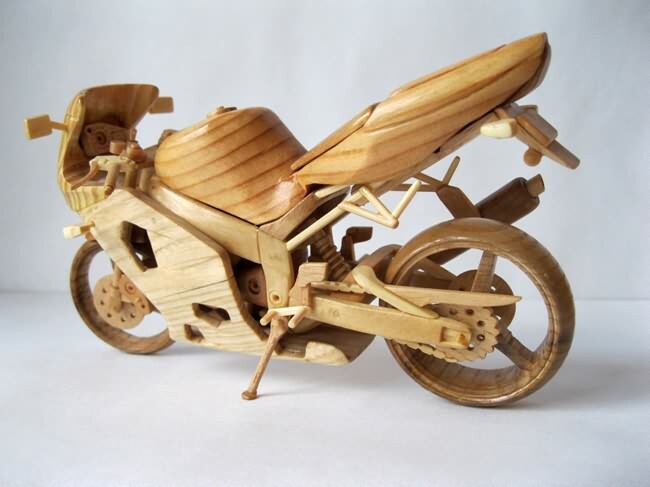 It's very sharp and good for treating wood."